Product prices and availability are accurate as of 2019-04-21 18:48:01 UTC and are subject to change. Any price and availability information displayed on http://www.amazon.com/ at the time of purchase will apply to the purchase of this product.
. 100% recycled rubber rolls specially designed and manufactured for durability. . Serve as an effective buffer against acoustical vibration. . 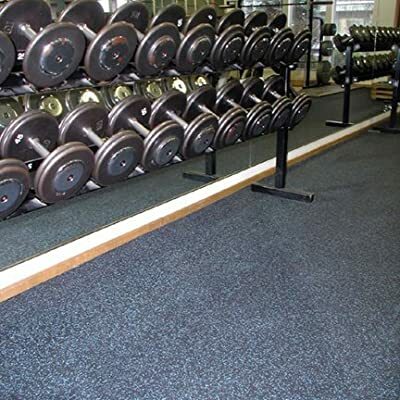 Suitable for both interior, exterior applications - ideal for surfacing areas that require resilience, sound absorption, spike resistance and traction. . Rolls are 3/8" thick and 4’ wide and available in 25', 50' and 75' lengths. Flec rolls contain 17% EPDM color flecs. Adhesives are necessary for rolled flooring; Failure to use recommended adhesives may void warranty .